Large trucks and commercial vehicles like tractor-trailer tend to lose control pretty easily and worsen the matter, the drivers of these trucks tend to ignore traffic laws exposing other motorists and road users to the risk of being caught up in an accident. Accidents involving these large trucks are rather deadly as the severity of damage and injuries is far greater than those of regular sized cars and bikes. 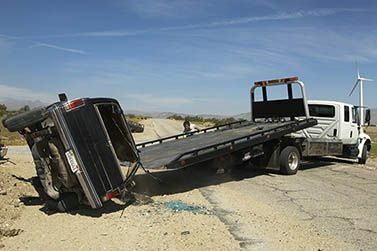 For truck accident victims, it’s advisable to hire the services of a reputable truck accident attorney as soon as possible because evidence wears out pretty fast. If you happen to be involved in a truck accident in Chino, CA, you have every right to seek settlement for the anguish being in that accident caused you. You would need the services of a truck accident attorney in Chino who knows all truck regulations and the state laws. Rawa Law Group can assist you with such cases as our lawyers are knowledgeable of these laws and cases. We are a 5-star law firm in the heart of California with some of the top of the crop personal injury lawyers in the state. Our lawyers have a combined legal experience of over 55 years and we have been hard at work in such cases for over a decade. Our lawyers know the tact to employ for a maximum settlement and focus on all types of truck accidents including semis and 18-wheelers. Our advocacy is ethical and 100% effective with a no deposit, zero upfront payment rule which lets us represent you for ‘free’ till we win you your case. We are available to get started as soon as you are ready. Contact us today for a free case evaluation.